Here’s a photo of Carla (above). It literally took him less than 10 minutes to apply this effortless, natural look. Of course, there are 8 easy steps — 5 steps for skincare, 8 steps for makeup application. Hmm. I guess that adds up to 13. But, 8 steps are makeup! Nick has outlined them below. Of course, all the products are by Trish. But, of course, you can go to your makeup bag or bags and use what you have. 4)Brighten Under Your Eyes: with Trish’s Triangle of Light Technique using Instant Eye Lift. 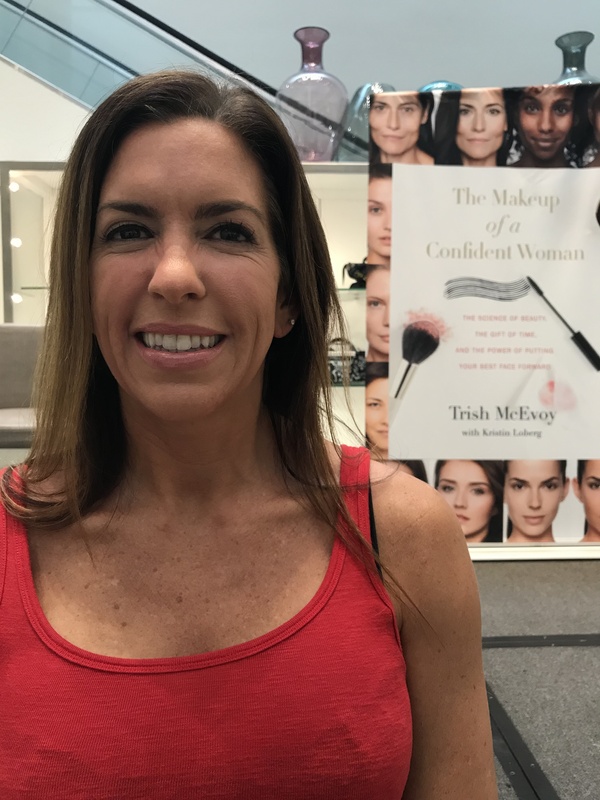 5)Even the skin: Use your favorite Trish foundation and concealer to perfect and even the skin with your favorite foundation brush. Set with translucent set powder. 6)Face Color: apply Bronzer, Highlight and Blush. Blend with a whisper of translucent set powder. 7)Enhance Your Brow: define your brow with Trish’s brow enhancers. 8)Enhance your lips: Apply Flawless Lip Primer and press into the lip line. Follow with your lip liner, color and gloss. The fan brush works wonders for blending. Eyebrow maintenance is a must. Are we ready to look beautiful?